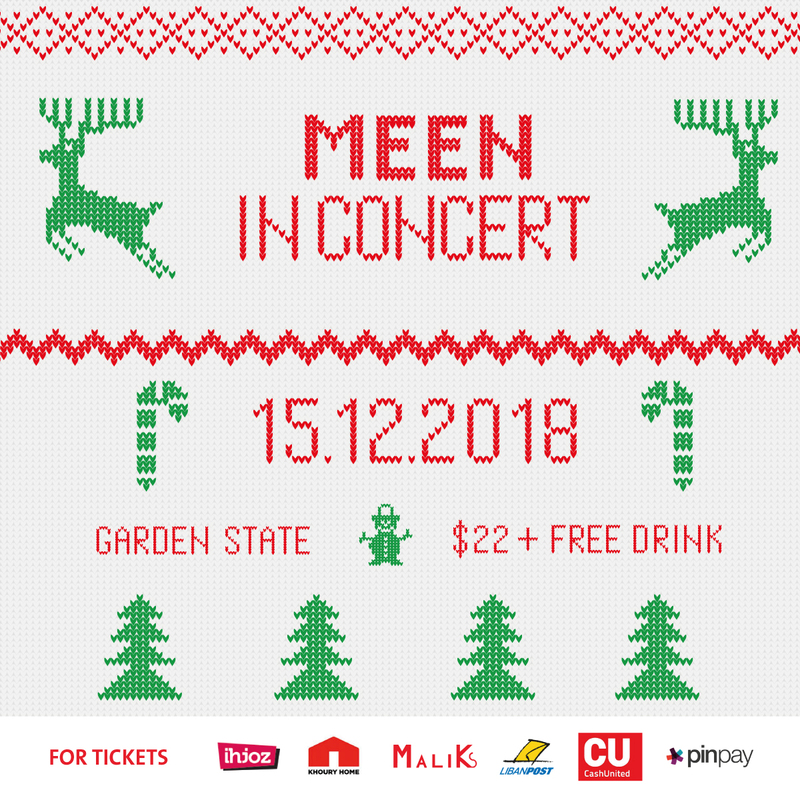 This Christmas, MEEN will be rocking the stage at The Garden State, Beirut, Saturday the 15th of December. // How much are the tickets, and how to get them? Places are limited, so call your friends and reserve asap! * Malik's and Libanpost might charge you a small commission. // Can I buy tickets at the door? 1- Tickets at the door will be more expensive (26 USD instead of 22 USD) because of the cost of the operation. So it is less expensive to get your tickets right now via ihjoz. 2- Usually our concerts sell out very fast. The Garden State is a small venue (around 400 people) and we might sell all the tickets before the event, that's why if you are considering to join us, please get the tickets asap. // At what time will the event start? Doors open at 8:30 pm and the band will be performing around 10:00 pm. We always try as much as possible to be on time so please do not be late. You should be over 18 because we are selling alcoholic drinks and this is the law. Management reserves the right of admission. // Where is Garden State located? It's on Jisr el wate, facing Beirut art center, adjacent to the wardiye station. Just search for Garden State in google maps and you will be fine. MEEN is a Lebanese rock band and is considered to be the best rock band in the universe. MEEN performs the best songs ever written or yet to be written. Full stop.